Rumors are running around about the next Assassin’s Creed game, claiming it is set during the Viking Age and will be titled Assassin’s Creed Ragnarok. 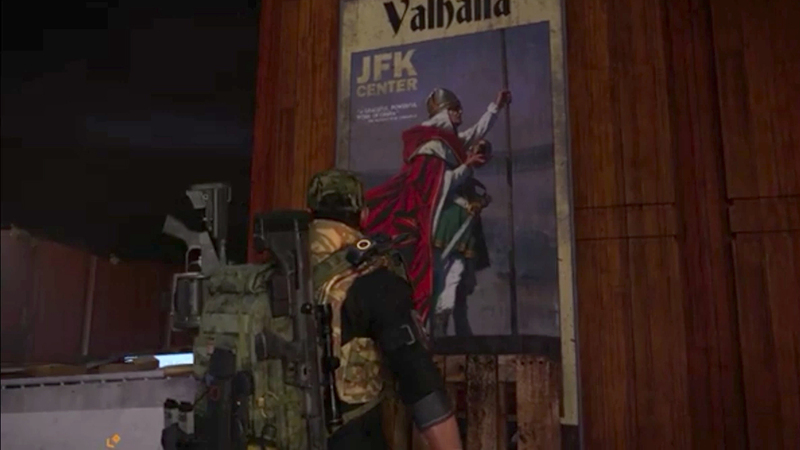 The rumors started when a player on Ubisoft’s The Division 2 noticed a poster of a man dressed in red and white, holding in one hand a polearm and in the other a golden orb. Above him, you could read the word “Valhalla.” So he took a screenshot and published it online. 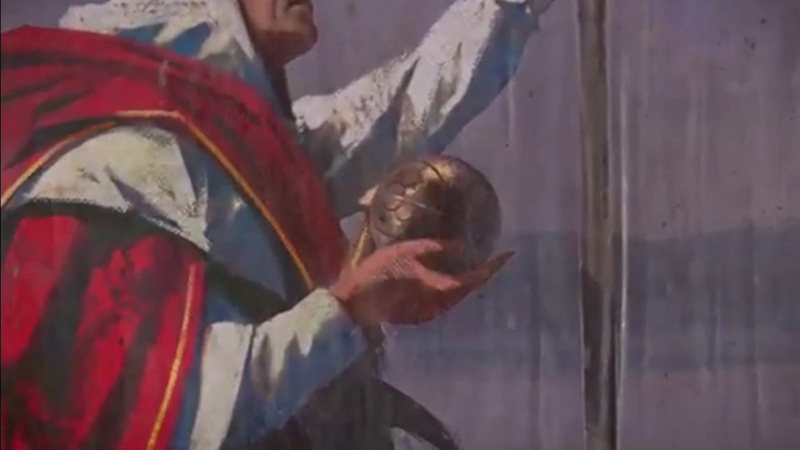 If you zoom in and brighten the image, it comes clear that the golden orb the Viking is holding is in fact, an “Apple of Eden.” When combining the hints, we can say with a bit more confidence that Ubisoft has placed an Easter egg in The Division 2 implying their next Assassin’s Creed story will be set during the Viking Age. The news site Kotaku has separately confirmed they have heard the next Assassin’s Creed, scheduled for release in 2020, will take place in the Viking era. Furthermore, they learned from two independent sources that the game is codenamed “Kingdom” and will star Vikings. If you are having trouble imagining how Assassin’s Creed would look like in the Viking Age, look no further than the work of Michele Nucera, a concept artist who worked at Ubisoft for three years until 2018. In his art, we can see a Viking longboat full of men with the iconic Viking shields. 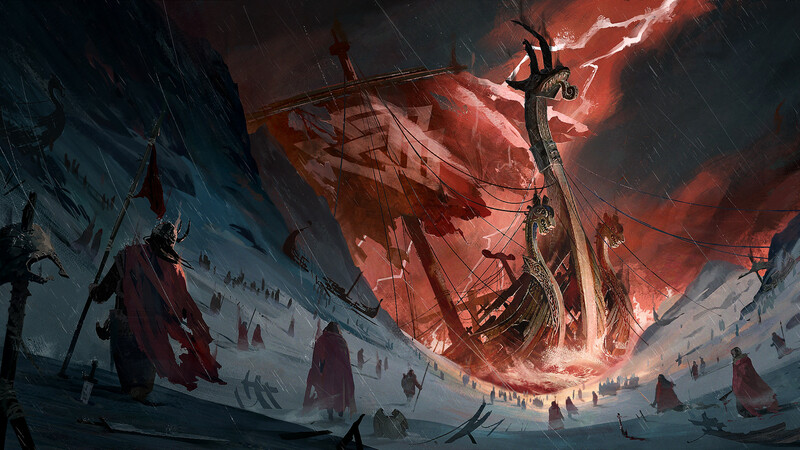 At the front of the dragon-shaped boat stands a man in a hood looking at a sprawling settlement at the side of a snowy mountain. The creative director of Ubisoft Montreal, Ashraf Ismail, and his team started working on the next Assassin’s Creed back in 2018, the same time that the above concept art has appeared at its origin name. Nucera himself has stated that the art is a personal work, and not official, but that begs the question of calling it Assassin’s Creed Ragnarok in the first place? 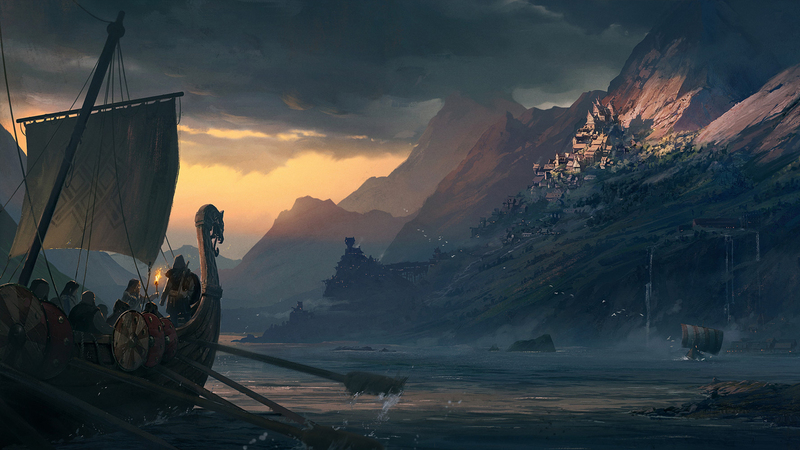 It’s worth mentioning Nucera has posted other Viking-related art around that time with no connection to the Assassin’s Creed franchise. The Nordic setting is the perfect environment for an Assassin’s Creed when considering melee and naval combat. It won’t be the first time Ubisoft tapped Viking warriors for inspiration – the Vikings are one of the factions in For Honor. Other notable games, such as Skyrim and God of War, also take a lot of inspiration from Nordic myths and locations, so Assassin’s Creed Ragnarok has some big expectation to live up to is the rumors turn out to be true.